Kathleen A. Cahalan is associate professor of theology at Saint John's University School of Theology, Seminary in Collegeville, Minnesota. She is author of Formed in the Image of Christ: The Sacramental-Moral Theology of Bernard Häring (Liturgical Press, 2004) and Projects That Matter: Successful Planning and Evaluation for Religious Organizations (Alban Institute, 2003). She is the past-president of the Association of Practical Theology. Finally, a realistic and ecumenically-minded theology of ministry released from the residue of clericalism, moving beyond debates about ministerial identity, and focusing on vocation to the practices of ministry. I know of no theology of ministry more timely, more suitable for diverse academic and lay audiences, more conversant with both Catholic and Protestant needs, and more steeped in the literature on practice. This book serves lay and ordained ministers well by showing how their actions overlap in wise pastoral practice. Cahalan's focus on practice promises not only new avenues for ecumenical and interreligious discussions of ministry, but can also serve as an occasion for all ministers, lay and ordained, to review their own presuppositions about ministry. Her work is a breakthrough in the conversation. A welcome guide from a wise practitioner. Coming in the midst of one of the most profound ministerial transformations in the history of Christianity, Cahalan's introduction keeps us firmly focused on what is most important-discipleship. With great pastoral sensitivity and keen theological insight, Cahalan situates ministry within a vision of discipleship rooted in the practices that defined Jesus' own life. Gently, we are drawn into a process of reflection and discernment that seeks to integrate what we do, how we live, and who we are called to be. This wonderful text is essential reading for all of us learning to minister in a changing church. So many studies of ministry perpetuate the heroic myth that ministers stand apart from other Christians as specialists who labor at holy matters in self-contained way. By contrast, Kathleen Cahalan reconnects us with the wider, deeper wisdom of the church, that ministry exists in and for the community of disciples. With clear insight, consistent vision, and close attention to theological resources, she offers a compelling case that the practices of ministry are intimately related to the life of discipleship and therefore aim mainly at its thriving. With ecumenical reach, this book is a liberating alternative to stale views of ministry and a fine example of how practical theology contributes directly to the church's witness today. Any student in any kind of ministry program ought to read and reflect on the many good points Cahalan makes in this fine little work on pastoral ministry. Cahalan's book is an eloquently written resource for reflecting on the nature and purpose of ministry. Those who teach seminary students, work with interns, or mentor new pastors will find this book extremely helpful. Those who are reflecting on their own call to ministry will find here a rigorous discussion and more than a place to start. There are so many wonderful things to say about this book, I don't know where to start. It fills a real gap in introductory literature. It is a perfect book for those trying to discern a call. It speaks about ministry as a whole rather than a bunch of component parts (e.g., pastoral care, leadership, preaching). It is richly grounded in Scripture, attentive to practice, and deeply theological. Step by step, with clarity and wisdom, drawing on years of teaching and a keen eye for the right literature from a range of disciplines, Kathleen Cahalan guides us well through the aims and architecture of ministry. 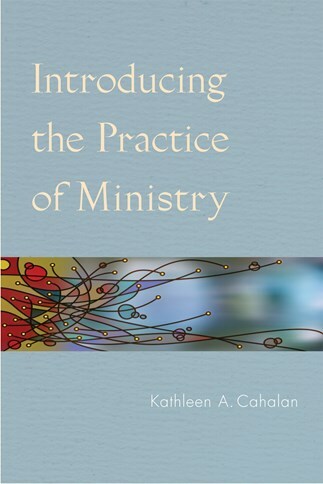 Grounded in practical theology, Kathleen Cahalan's Introducing the Practice of Ministry is an ideal text for students and those practicing ministry who are discerning their own ministerial roles. Prudent without a hint of stuffiness, wise without ever being aloof, Kathleen Cahalan has conjured up one smart book on ministry. With the heart of a practical theologian and the charism of a gifted teacher, she weaves multiple threads, sources, and insights into a work both lucid and passionate. Theoretically strong without a hint of stodginess, Cahalan is a gifted guide who leads us to the heart of the matter. Surely a classic in the making, anyone involved in ministry formation needs to read this book. A top pick for any minister. Catholic practical theologian Kathleen Cahalan has written an outstanding book on ministry. It is a rare thing to find a book on ministry that is both theologically rich and broadly accessible. More rare still is a book that could be of value to one in the throes of discerning a call to ministry as well as to the wise pastor many years into ministry. . . . The Trinitarian, missional, and vocational frame of her argument make this a very welcome book for Lutherans and other mainline Protestants, and her deep focus on the Spirit's gifts suggests a fruitful opening to a broad array of other Protestant churches. This pathbreaking book provides the men and women who lead communities of disciples with a tremendously helpful approach to understanding the sources, shape, and purposes of what they do. Cahalan is thoughtful, thorough, and sometimes inspiring as she guides readers from scriptural and baptismal beginnings toward concluding reflections that link ministry and discipleship to the relational life of the Trinity. Along the way, she sheds light on many of the crucial questions surrounding the vocation and practices of ministry. This is a must-read for students and teachers in seminaries and divinity schools. In my research about pastoral ministry, it has become evident that books that give an account of the practice of ministry are in short supply. Cahalan's book is a welcome gift to fill that gap. Pastors, theological teachers and those discerning a call to ministry may all find a welcome in its pages.